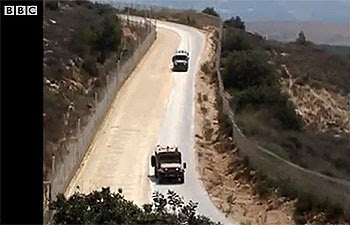 Such a fight was picked this past Tuesday, August 3rd on the Israel-Lebanon border. News venues all over the world erupted in an attempt to cover what was initially perceived to be an invasion of Lebanon by Israel. The world feared that this was finally THE incident that would start a chain reaction that would plunge the whole Middle East into cataclysmic, all-out battle. Two days after the dust settled and the Middle East yet again seemed to pull back from the brink of disaster, what actually occurred could be discerned from reports by the opposing armies, United Nations Interim Forces in Lebanon (UNIFIL) stationed to keep peace along the border since the Second Lebanon War in 2006, satellite footage, and even live video taken during the incident. Despite conflicting reports on who was on who’s side, who shot first, and how many actually died, the actual chain of events now seems to have been somewhat agreed upon. Along Israel’s northern border adjoining Lebanon is what’s called the “Blue Line.” It’s a United Nation’s recognized demarcation line between the two countries. Lebanon sits to the north and Israel to the south. Running the length of the Blue Line are fences, military outposts, soldiers, weapons, bordering roads and some of the most sophisticated electronic scanning and detection equipment known to exist. It’s also where some of the greatest tension in the world exists. Like Braveheart’s Longshank’s and Wallace’s armies standing opposite each other expecting the call to battle at any moment, the Israeli and Lebanese armies stand across the line from each other, supposedly kept from firing by the UN peacekeeping force UNIFIL. Despite the precautions along the Blue Line, there have been breaches. In October 7, 2000, three Israeli soldiers were abducted and then killed by Hezbollah, an Islamic terrorist organization that has gained legitimacy in the Lebanese government. The greatest of these breaches started the 34-day long 2006 Second Lebanon War. Hezbollah militants fired rockets at Israeli border towns and waged an anti-tank missile attack on two armored Humvees patrolling the Israeli side of the border fence, wounding five Israeli soldiers and abducting two others. Israel responded by invading southern Lebanon in an attempt to root out Hezbollah from Lebanon. The early pullout by Israel was perceived by all sides as a victory for Hezbollah. The latest border skirmish started off innocent enough, with Israel wanting to prune trees that were interfering with their sensitive electronic detection equipment along the fence. According to IsraelNationalNews.com, the Israel Defense Forces (IDF) notified the UNIFIL forces of their intent, were asked to delay two hours, then after that time went out to cut the trees. While they were working, a firefight broke out. Live video footage taken by the troops there definitely place the first shot on Lebanon’s side. While the Lebanese side claims it fired warning shots thinking Israel was over the Blue Line, the Israeli unit reported they first heard sniper fire, which seemed to be the case as the unit’s senior officers went down first. 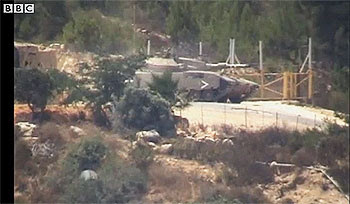 The IDF unit responded with rocket-propelled grenades and tank fire, and “several minutes later an Israel Air Force helicopter fired at the Lebanese army battalion command center, damaging several LAF armored combat vehicles,” according to military sources in another IsraelNationalNews.com report. Lebanese soldiers then fired four rocket propelled grenades (RPGs) at an IDF tank, but missed. UNIFIL forces stood on the Lebanese side and watched on. In the end, those killed where two or three Lebanese soldiers, a Lebanese journalist, IDF Lt.-Col. (res.) Dov Harari who was battalion commander of the Israeli unit, and IDF Captain (res.) Ezra Lakia was badly hurt. Accusations of blame fly from the leadership of both sides of the line. 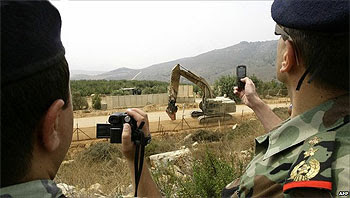 Lebanon claims that the Israelis were operating in its territory, leading Lebanese Prime Minister Sa’ad Hariri to condemn what he calls “Israeli aggression.” The Israeli Foreign Ministry is holding the Lebanese government responsible for what it calls a “grave incident” and its Minister Avigdor Lieberman is filing a protest with the UN Secretary General and the Security Council citing a severe violation of the UN Security Council Resolution 1701 which ended the Second Lebanon War. Other’s see more sinister ties, claiming the two hour delay was to give time for the Lebanese to stage the skirmish. 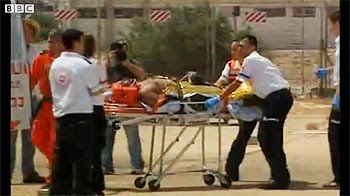 Reporting from Ashkelon, which had already seen a recent attack compounded with the shelling of the resort town of Eilat in the south, journalist David Dolan states “Interesting enough, the family name of the slain IDF reserve battalion commander, Lt Col Dov Harari, is almost identical to the Lebanese Prime Minister Saad Hariri. A UN report is expected to be released very soon, blaming a Hezbollah assassin for murdering Hariri’s father in 2005 while he was also serving as prime minister. The report leaves the Iranian and Syrian backed militia with an urgent reason to start a conflict with Israel in order to divert attention away from its own crimes inside of Lebanon.” The sniper that fired the first shot has been identified as a Shiite having some Hezbollah ties. On Wednesday night, August 4th, a three-way meeting of Israeli, Lebanese and UN generals was held at the UNIFIL headquarters in Naqura to access the situation. According to an Israel Today report, UNIFIL’s Maj. Gen. Alberto Asarta Cuevas will be conducting an official inquiry into the clash. According to the BBC, Cuevas’ initial statement, though, confirms that both the tree and the Israeli soldiers were on the Israeli side of the Blue Line when the Lebanese opened fire, substantiating the claim that the skirmish did in fact start from the Lebanese side. The world amazingly for once seems to agree that Israel wasn’t responsible. 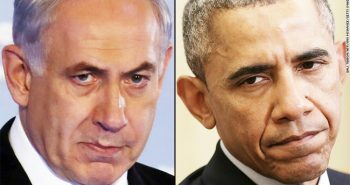 The US State Department’s response was to agree with the Israelis, with Spokesman P.J. Crowley calling the Lebanese attack “totally unjustified and unwarranted.” The UN has quietly nodded towards Israel, and the news from the usually outspokenly critical of Israel agencies have buried the story, a clear sign they know the Israeli’s were not to blame. Despite the world not openly against Israel on this issue, Israeli Prime Minister Benjamin Netanyahu was not fully pleased with the international reaction to the incident. He noted rightly that had Israel in fact been at fault there would have been harsh condemnations and calls for a damning international inquiry. Israel’s call for justice has included that the Lebanese Army 9th Brigade commander who was ultimately responsible be dismissed or court-martialed. The problem remains, the Lebanese and Israelis remain dressed for a fight. There are too many loose cannon terrorists who are more than willing to fill William Wallace’s role. When pruning a tree results in sniper and tank fire, we know that tensions wound so tight cannot remain wound for so long. Eventually, one side or another is going to start shooting, and cooler heads will no longer prevail. As Israel remains under constant rocket fire from its southern and northern neighbors, a time will come when the patience of the world’s forth most powerful army won’t endure, and Israel will be forced to remove the threat. Since the terrorist threat is now so interwoven into the fabric of the neighboring governments, Israel will have no choice but to conquer these governments and put them under military oversight. With their buffer territories gone, this will result in the wider circle of Islamic nations hostile towards Israel putting pressure on the newly expanded borders of Israel, and the heated border scenario will once more occur, leaving only a brief respite of peace and safety. 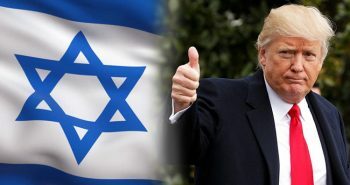 For those who study what the Bible foretells concerning Israel’s place in the Middle East crisis, they know indeed that this border tension will not last forever, and will finally erupt into said scenario. Israel will subjugate their hostile bordering neighbors according to Psalm 83, gain a small measure of peace, safety and wealth as Ezekiel 38:11 says they will have, and then Israel will be forced to face a larger ring of hostile countries that new found wealth provides them in the Gog-Magog Battle of Ezekiel 38-39. We are merely one tense misfire away from the domino effect that will eventually lead towards Armageddon and the all-out fulfillment of Bible prophecy concerning Jesus Christ’s Second Coming. Sounds to me as if UNIFIL snitched on Israeli plans. Hello Nathan, Jesus Christ is coming very soon, or not ¿? The Signs show us, that the Trumpet is about to Sound. Very Soon.We can almost here it!! Maranatha!! Sooner the better, Carlos. I'm getting mighty weary of this place. Timing is everything, and everything is timing. 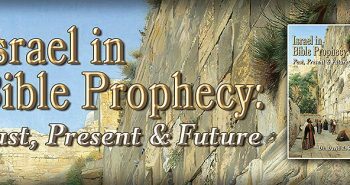 We can expect when the time is right for Israel to come face to face with their prophetic destiny it will come rapidly. The International community remains blind to the prophetic implications of all that is happening on a global scale. We that currently hold to the truth of the Word of God are not in darkness, once the proverbial door is kicked open, it will be time for the Church to take our leave. The Judge of all the earth has an appointed time for everything including our arrival. Hope you have your seatbelts on, it could be a wild ride in the next few months. Or better yet, like Steven Curtis Chapman so poetically put it, "Saddle up your horses, we got a trail to blaze"!! I generally try and keep up with what is going on with Israel and this incident got by me completely. 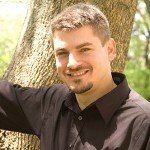 Thank you Nathan for your article and insight. I know that I sometimes get weary of the tribulations and trouble I have in this world. I am especially grieved by what is happing in this country and in the world by godless reprobate leaders with their insane agendas along with the overall wickedness that is prevailing among the general population everywhere. However, Paul wrote in Romans 8:18 (NIV) “I consider that our present sufferings are not worth comparing with the glory that will be revealed in us.” Wow, I am really looking forward to that! To see our Savior in His glorified state to which He so richly deserves! Praise, Glory and Honor be to our Great God and Savior, Jesus Christ, AMEN! So I will conclude with this quote from 1 Peter 1:13 (NIV) “Therefore, prepare your minds for action; be self-controlled; set your hope fully on the grace to be given you when Jesus Christ is revealed.” I am trying my best to do this very thing. I hope that many others will take this to heart and do the same. It is sad that this is not proclaimed more in Christian circles than it is. Anything significant about the wildfires in Russia? You seem to always be able to link every natural incident in the U.S. to an act of discipline by God. How about linking something to the bad guys this time? Or does everything that happens to the rest of the world just happen to be coincidence? Bitterness? Maybe. Just seems like (based on what I read here) sometimes the implication is WE are always getting smacked down while the rest of the world gets a pass. Good point, Billy! And since God has RECONCILED the whole world to Himself and has TAKEN AWAY the sins of the world, it might just make us stop and reconsider what we attribute to God. I know I have, and I've definitely stopped attributing bad things (what others call "punishments" or "discipline") to my loving Father. Sure, you can find a coincidental connection between some bad experience and something sinful–you always can. But I think we err greatly when we blame it on God. God is love and if we don't see Him first and foremost through that lens, then we don't see Him clearly at all. Even His wrath (which can be interpreted as "strong emotion") is loving. These two scriptures are a reminder as to what will happen to ALL the nations who come against Israel. Russian is arming, aiding and abetting Israel’s enemies to ‘smoke’ her off the face of the earth. Check the concordance for ‘smoke’ its fascinating e.g. Deut.29. VS 20 The LORD will not spare him, but then the anger of the LORD and his jealousy shall smoke against that man, and all the curses that are written in this book shall lie upon him, and the LORD shall blot out his name from under heaven. Billy, ask and ye shall receive – Floods and Fires Destroy the East. Laura, God is love, and because of His love he goes to the extreme to get people to turn to Him, even if it means plagues and destruction. Sorrow in our lives mostly always turns us towards God and makes us realize how dependent we are on Him. It's His M.O. repeatedly throughout the Bible, and just who He is. I think we need to be careful we say God isn't this or that in our own can be dangerouly close to making a god in the image we desire him to be, instead of his word telling us what he is, and allows. OUR God the one true God is a God or WRATH, JUDGMENT, HOLINESS, and absolutly LOVE. and the Lord said unto Moses, I have seen this people, and, behold, it is a stiffnecked people: Now therefore let me alone, that my wrath may wax hot against them, and that I may consume them: and I will make of thee a great nation. God wrath isn't his emotion like it is with humans. But his character, his Holiness demands he reacts to sin, and the more people ignore him, the harsher and louder the calls become. And it is all done because he does Love us, do we love him enough to pay attention or just keep sweeping it under the rug and white wash it like the apostates do. Better to get it now, that get it latter for eternity!!! Also where much is given, much is expected. God has trusted us much with his word, more than any other gentile nation in the planet. So one can say the US is kinda like or at least use to be like a pastor for the world. and like a pastor is held to a higher account so I believe the us is also. and when children disobey they are punished, and so when children of God disobey God brings out the rod to correct us as individuals and as nations. He warns us if he don't correct us than we need to question weather or not if we are his child??? Sometimes I think God is harder on the US because we should know better. 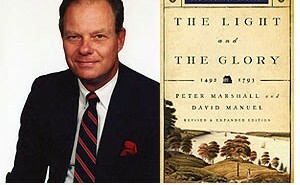 We have had the light of Scripture since before there even was a USA. Russia, on the other hand, went 70 or 80 years in darkness; they had entire generations which grew up with government as God. I don't think what's happening in Russia is so much a punishment or a discipline as it is a reminder. Thank you VERY much for that post. I guess I was starting to feel the U.S. was getting picked on. This shows ALL things evil face consequences from God. I'm NOT happy about it but it does me good to know God's pure justice is for ALL the world, not just this nation. Hope you know what I mean by all that. I'm with Nathan on your post. I've think you and I have only seen eye to eye once so far. Just to clarify…I didn't me I'm NOT happy God deals with evil via the weather, I meant I'm not happy natural disasters also can hurt Christians or "innocent bystanders" if you will.